Charles meets a lot of monsters in his line of work. While assisting Margo Maloo on her assignments, he’s had close encounters with trolls, ghosts, imps, and ogres. And lately, they’re all saying the same thing: living in Echo City is getting harder. As the human population of the city is grows, monsters are being forced to abandon their homes. Teenagers are creeping into their territory, smartphones in hand, eager to photograph paranormal activity. Some monsters are tired of hiding and ready to fight. How can Margo and Charles keep Echo City’s monster community a secret, when it’s teetering in the brink of war? 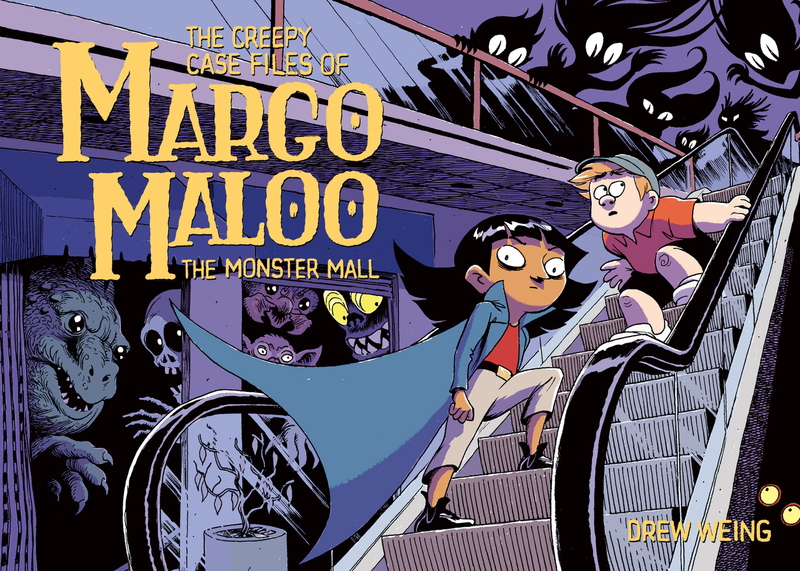 In this second volume of The Creepy Case Files of Margo Maloo, graphic novelist Drew Weing delivers a fresh and funny take on the age-old battle between kids and closet-dwelling monsters. Drew Weing lives in Athens, Georgia, with his wife, cartoonist Eleanor Davis, and too many cats. He makes comics for print and online, among which are the nautical graphic novel Set to Sea, and the early-reader comic Flop to the Top, which he co-authored with his wife.